When choosing car seats for your precious one then you want to get the best car seat at the best price. We understand that Safe car seats are important to you, as well as comfort for your child. The best car seat for your child is one that is easy to use, fits in your vehicle correctly and fits your child properly. If you are not sure if you have installed your car seat correctly you can have it checked by a certified child passenger safety technician or at a inspection station. You can locate a Child Safety Seat Inspection Station by visiting the National Highway Traffic Safety Administration (NHTSA) site. There are 4 types of car seats. These are: infant car seats, toddler car seats, convertible car seats and booster car seats. Each has a unique function and offer a variety of features. Toddlers must be in a forward facing car seat. The safest location for an infant car seat is in the rear, center seating positon of your vehicle. Infant Car Seats - Infants must be in a rear facing car seat or rear facing convertible car seat. Infant car seats are small, portable, usually come equipped with a five point harness and accommodate babies up to 20-22 lbs. A car seat with a 5-point harness is the safest harness type seat on the market. There are 2 straps at the shoulders, 2 at the hips and 1 at the crotch. Some infant car seats have a detachable base that attaches to the car, which saves having to install the car seat each time you travel. Toddler Car Seats - Toddlers must be in a forward facing car seat. Toddlers weigh at least 20 lbs and are usually 1 year old. Convertible Car Seats - These seats are not portable and cannot be used as a carrier, but can be used in both forward facing and rear facing positions. These seats are used in rear-facing positions for infants and forward-facing for toddlers. This allows your child to grow without having to swap out your car seat. Booster Car Seats - When your child has outgrown car seats then they graduate to a booster car seat. Here they should stay until they are at least 8 years old or are at least 4 foot 9 inchs or taller. You can use the booter car seats harness or you can use the car seat belt. Booster car seats accomodate a child up to 80 pounds. Buying a new Car Seat for your infant or toddler is often made easier when you can refer to unbiased customer reviews. Where possible we have featured specific car seat makes to offer honest feedback which hopefully will help you reach a decision on a car seat that is best for you and your child. You may be working with a tight budget and looking for cheap car seats and mainly concerned with finding the best price. Or, you may be less concerned with price and simply be looking to find the best car seats or a car safety seat available for your child. Either way this website will help you compare prices and features of car seats from major retailers such as Amazon, Ebay, Walmart, etc. Britax Childcare assembles, designs and markets a premium range of wheeled goods and child car seats. Britax has five state of the art research and testing facilites worldwide. Britax reports "firsts" that they are responsible for bringing to the market: True Side Impact Protection™, Versa-Tether®, Quick Adjust Head & Harness Positioning, HUGS™ and Higher Weight Limits. The Britax Roundabout is a compact convertible car seat known for its comfort, safety and convenience. The compact size is great for those with cars that have limited back seat space. The tangle free, 5-point harness makes for a snug and secure fit. The Britax Boulevard Car Seat can be positioned facing forward or backwards. You can adjust the setup to match your child's development stage. It has an easy and infinite head pad adjustment as well as a harness height adjustment. The Britax Diplomat Convertible is designed specially for use in smaller vehicles. It is a compact car seat that helps make long drives comfortable for your baby. It provides safety for your child and is easy for parents to work with. Cosco® Juvenile has been a leading juvenile products brand since 1935. Cosco is dedicated to safety for your child and value for you the parent. The Cosco Car Seat Alpha combines safety and luxury and features the no rethread technology. The no rethread technology makes adjusting the headrest for a larger child a lot easier. When your infant has outgrown its infant car seat then you might want to consider the Cosco High Back Booster Seat. It is wide and roomy with a padded area around the head giving your child plenty of space to doze in the rear seat. This pink daisy daze print features a convenient carry bag for easy portability. You can also use it to keep your car seat clean when not in use. This Cosco Scenera car seat will be good for your child from infancy through their toddler years. Evenflo has been a leader in the development of innovative infant equipment for over 85 years and over the years has expanded to meet all the needs of children from birth to the pre-school years. Amongst these products is their innovative car seats designed to keep your child safe and secure in the car. Evenflo has grown into an enterprise with marketing and sales operations throughout the US, Mexico, Canada and the Philippines. Among other features, the Evenflo Triumph Car Seat features multi-position recline and removable body pillows which surround your baby in soft support. Growing children are accommodate by 2 buckle straps which are easy to adjust. The Evenflo Discovery Infant Seat features the CarryRight Z handle which is ergonomically designed for you to carry the car seat comfortably. It has a stay in the car base and an adjustable canopy to shade your infant. The Evenflo Big Kid Seat is recommended for children 30 to 100 pounds and up to 57 inches tall. It sports activity lights that can be used during evening commutes. Your child will be comfortable during long rides due to added cushioning in the body and head area. Graco started out in 1942 as Graco Metal Products located in Philadelphia, PA. For the first eleven years, the firm fabricated car and machine parts for local manufacturers. As years passed and owners changed, the owner decided he wanted to develop his own product line. When an engineer working for Graco, named David Saint, designed the world's first wind-up infant swing (Graco Swyngomatic) which sold millions in the coming years, a new direction was set for the company. Today the company is one of the world's leading manufacturers of juvenile products. Graco is now a Newell Rubbermaid company. When your child outgrows their rear-facing car seat then the Graco Nautilus Seat may be the only other car seat that you will ever need. It converts to a backless booster which can hold children up to 100 lbs in weight. The Graco ComfortSport Seat has both rear and forward facing capacity which makes it ideal for your infant to toddler transition. On the go snacking is made easier with a small snack tray and side cup holder. You and your new baby can get around in style in the Graco SnugRide Infant Car Seat. The stay in car base allows It to double as an infant carrier. It is designed to accommodate babies from 5 to 22 lbs and up to 29" in lenght. The Graco TurboBooster is designed to meet or exceed US Safety Standards. It accommodates 3 to 10 year old children who will be riding in sporty, comfy style. In 1949 when Giuseppe Perego became unhappy with the lack of juvenile products available for his infant son, he decided to design his own baby carriage. The functionality, combined with the beautiful fabrics added by his wife to the carriage soon created requests from other partents in Perego's small Italian neighborhood. Soon requests poured in from neighbors for a carriage for their child and out of this Peg Perego was born. The company has only grown with a continuous stream of new and exciting products. The Peg Perego Primo Car Seat attaches easily to all Peg Perego strollers. This infant car seat has a maximum infant size of 30" long or 30 lbs. Its new redesigned larger Side Impact Protection exceeds the most stringent SIP safety test in the world. Safety 1st was acquired in 2000 by Dorel Industries, Inc. based in Foxboro, Massachusett. Safety 1st is internationally recognized for its "Baby on Board" sign and its strong child safety foundation. The company now offers a large array of products in the juvenile category which have a reputation for feature-rich, unique, quality products at affordable prices. The Safety First Car Seat has all the features of safety and comfort that parents have come to know and love with all products from Safety 1st. Being a convertible car seat it will grow with your child from infant rear facing to forward facing toddler and on to belt positioner. 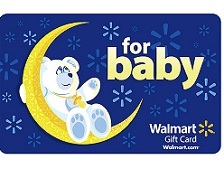 If you are shopping for someone else and you are not sure exactly what they would like or need then perhaps you would be best to send them a nice gift in the form of a gift card from one these popular sites: Amazon.com, Ebay.com or Walmart.com. Babies love to ride but they also need bathing and changing often. Some of the things that you will also need are things like changing tables, bath towels and wash cloths, nail clippers and hair brushes, bathtubs and bathtub toys, diaper bags, change mats pads and covers just to name a few essentials. All brand names and product names used on this website are trade names, service marks, trademarks, or registered trademarks of their respective owners. Futhermore, no mentioned product or brand endorses this website..www.car-seats-for-baby.com is a resource and provides details and price comparison information for baby car seats.